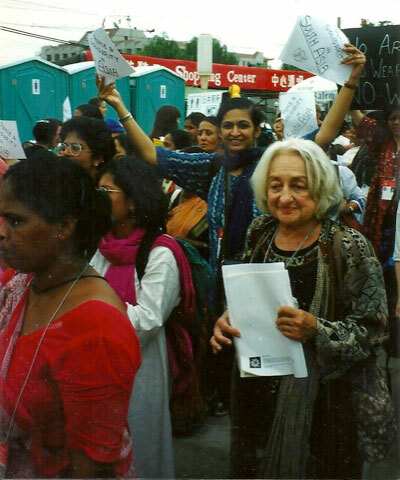 WIN Convened our first forum on “WOMEN AND THE UN: YESTERDAY, TODAY AND TOMORROW”, in San Francisco, California, May- June, 1995, during a Celebration of the 50th Anniversary of the Signing of the UN Charter . 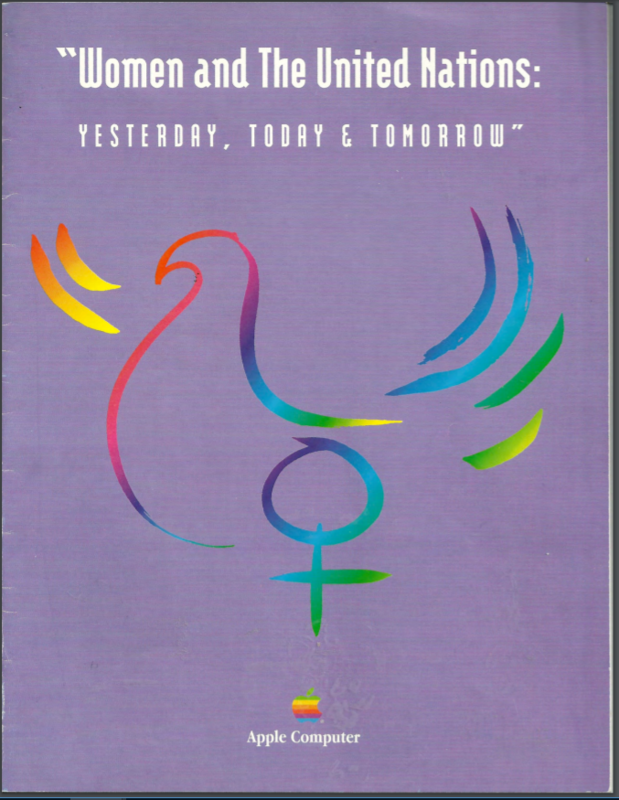 See the program, underwritten by Apple Computer, Inc. that honored U.S. Ambassador to the UN, Madeleine Albright; Madame Wen Chi Chow, Global Federation of Chinese Business Women and Rigorberta Menchu Tum, Guatemala, Nobel Peace Price Recipient. 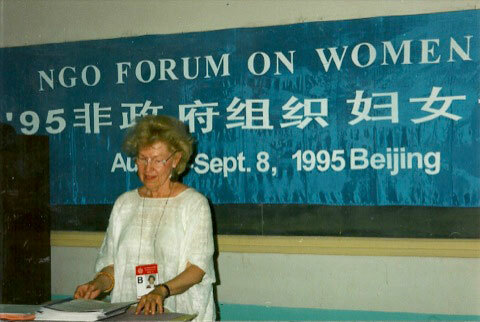 The 4th United Nations World Conference on Women was held in Beijing, China and the Non-Governmental (NGO) Parallel Forum was held in Huairou, on the outskirts of Beijing. 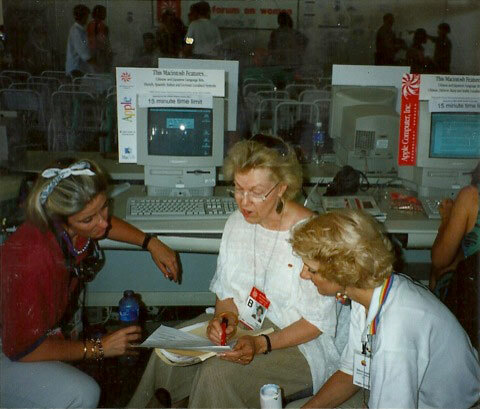 Apple Computer, Inc.sent 80 Apple Volunteers and 100 MACs to a large warehouse in Huairou, China for the first ‘cyber center,’ and women from 190 countries experienced email and the Global Cyber Women’s Movement was launched. 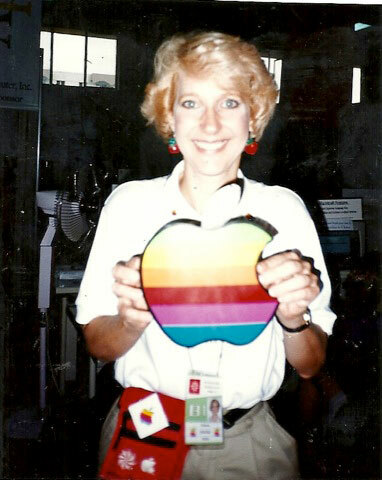 See WIN’s HERSTORY page for WIN’s involvement in connecting Apple Inc with women worldwide on E-world. 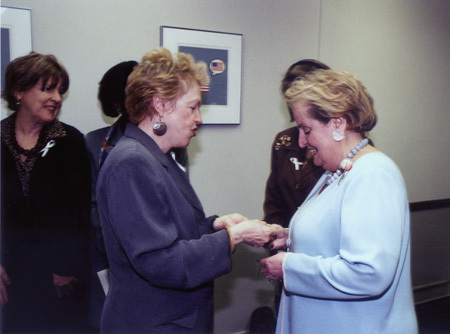 Marilyn Fowler, WIN, presenting a “Breaking the Glass Ceiling” brooch to Secretary of State Madeline Albright, March 2000, at the Beijing +5 Ceremony, US State Department. The Council is charged with coordinating the implementation of the Platform for Action adopted at Beijing, including the U.S. commitments announced there. 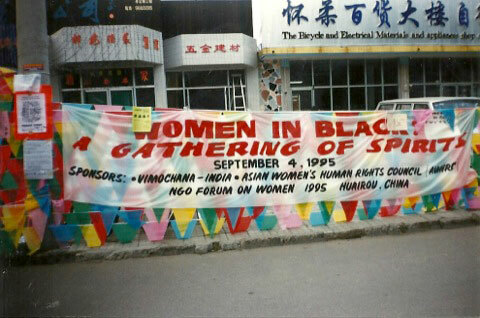 It also develops related initiatives to further women’s progress and engages in outreach and public education to support the successful implementation of the Conference agreements.